Warning: Browsing these web pages with internet explorer can limit the experience! The XMM-Newton Survey Science Centre was selected by the European Space Agency (ESA) to ensure that the scientific community can exploit the data accumulated by the ESA cornerstone mission, the XMM-Newton X-ray observatory. These pages summarise the work that we undertake and how to access the catalogues that we have produced in the framework of this mission. April 2019: Update to the stacked catalogue 3XMM-DR7s . March 2019: Photo taken at the 32nd Consortium meeting here . Update of the documents in the restricted access section. January 2019: The FLIX upper limit server has been updated and includes new XMM-Newton data. 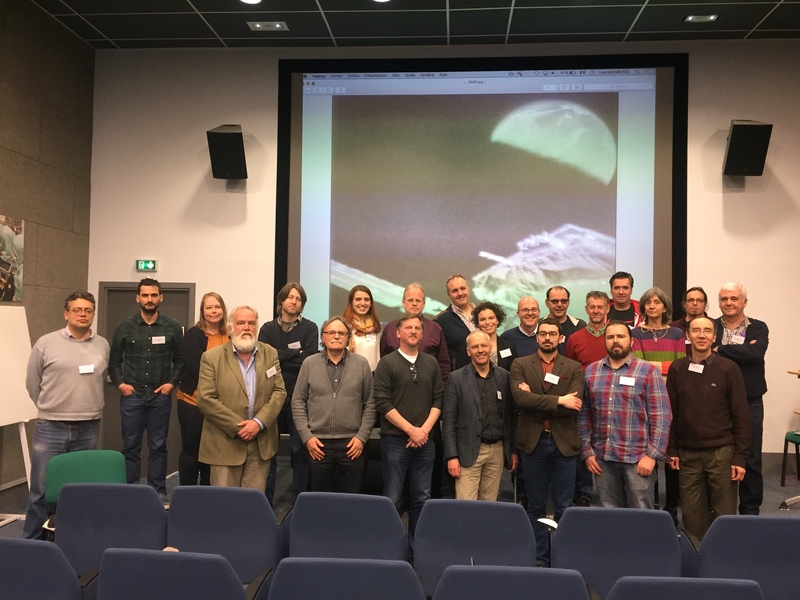 January 2019: The 32nd XMM-Newton SSC consortium meeting will take place at the Observatoire Astronomique de Strasbourg, France from the 20-21 March 2019. Please see the webpage for further details. December 2018: New Arches post-doc position related to the XMM-SSC work open at the Observatoire Astronomique de Strasbourg, see the job description for more details. September 2018: New XMM-SSC position open at Saclay, see the job description for more details. July 2018: The first version of the XMM-Newton stacked catalogue 3XMM-DR7s released with 71951 stacked X-ray sources, the first catalogue of XMM-Newton X-ray sources from regions of the sky observed repeatedly. May 2018: New version of the XMM-Newton catalogue 3XMM-DR8 released with 775153 detections and 531454 unique sources. May 2018: A new version of the XMM-SSC webpages is now available for the general public via the tab above or via the link to the general public pages. April 2018: The programme for the workshop "Treasures hidden in high-energy catalogues" is now online here. 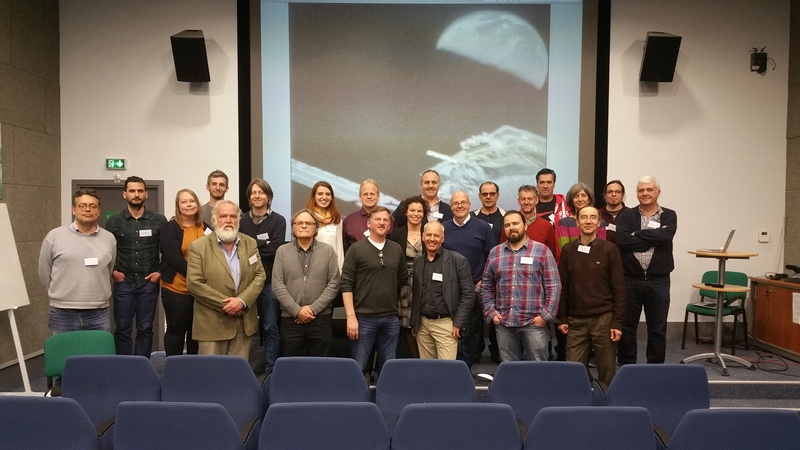 April 2018: A couple of photos from the 31st XMM-Newton Survey Science Centre Consortium meeting. January 2018: The workshop "Treasures hidden in high-energy catalogues" will take place from 22nd-24th May 2018 at IRAP, Toulouse, France. This workshop offers the opportunity to get a full overview of the different catalogues proposed in the framework of ESA's XMM-Newton mission. A range of other high energy and multiwavelength catalogues will also be presented, as well as synergies between these catalogues. Innovative methods for exploiting catalogues, such as machine learning, will also be discussed. More information can be found on the workshop website. December 2017: The 31st XMM-Newton SSC consortium meeting will take place at AIM/CEA, Saclay, France from the 16-17th April 2018. Please see the webpage for further details. June 2017: New version of the XMM-Newton catalogue 3XMM-DR7 released with 727790 detections and 499266 unique sources. More information available here. April 2017: Photo from the 30th XMM-Newton Survey Science Centre Consortium meeting. December 2016: An extension to the XMM-Newton OM catalogue (SUSS) - bright UV sources now included, see paper for further details. November 2016: The 30th XMM-Newton SSC consortium meeting will take place at MPE, Garching Germany. Please see the webpage for further details. July 2016: New version of the XMM-Newton catalogue 3XMM-DR6 released with 678680 detections and 468440 unique sources. May 2016: Update to the XMM-Newton spectral-fit databasethat proposes simple spectral fits for 123256 detections (83953 sources) in 3XMM-DR5. April 2016: If you are interested in having a 1:82 scaled model of the XMM-Newton satellite, you can order them for a limited period here. March 2016: Photo from the 29th XMM-Newton Survey Science Centre Consortium meeting. February 2016: A new version of the Science Analysis Software (SAS) released (version 15) on the 4th February 2016 Website here. January 2016: New 3XMM-DR5 catalogue summary pages hosted on LEDAS. December 2015: The 29th XMM-Newton Survey Science Centre Consortium meeting will be held 14-15 March 2016 at IFCA, Santander Website here. August 2015: Upgrade to the XCatDB catalogue server for both versions of the 3XMM catalogue: 3XMM-DR5 and 3XMM-DR4. April 2015: A new version of the 3XMM catalogue, 3XMM-DR5, containing 565962 X-ray detections has been released. This release is accompanied by a paper detailing the catalogue. Please also see the press release. January 2015: The XMM-Newton Survey Science Centre Consortium (apologies to those that were missing!) picture. December 2014: The 28th XMM-Newton Survey Science Centre Consortium meeting to be held 22-23 January 2015 at MSSL Website here. November 2014: Update of the XMM-Newton spectral-fit database that proposes simple spectral fits for 114166 detections (77954 sources) in 3XMM-DR4. November 2014: A new XMM-Newton Survey Science Centre post-doc position has been opened at the IRAP, Toulouse. Please see here for more information. October 2014: A new 'watchout' has been released concerning the 3XMM-DR4 catalogue. Click here to go directly to the information. 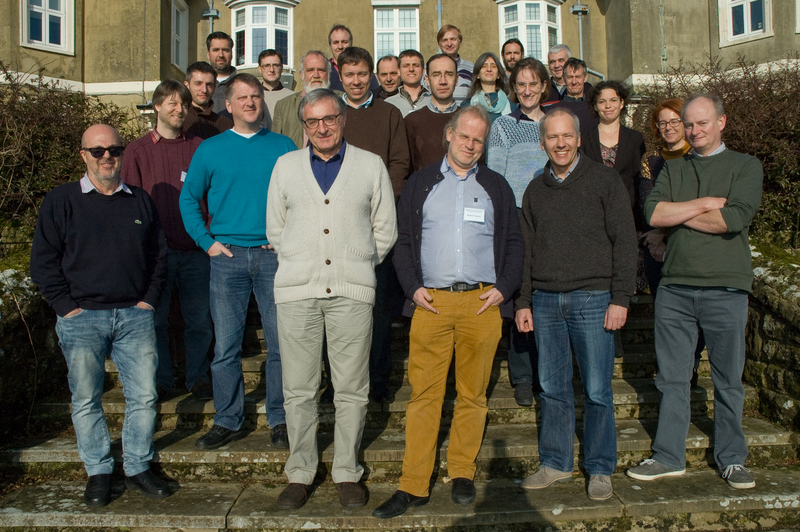 May 2014:XMM-Newton Survey Science Centre Consortium meeting held 13-14 May 2014 in Potsdam Website here. March 2014: New XMM-Newton Survey Science Centre web pages on line which replace these. 2014: Hundreds of new sources discovered in the 3XMM and 2XMM catalogues. 12 December 2013: New version of the Science Analysis System (SAS) SAS 13.5.0 released by ESA. 23 July 2013: Data release 4 of the the XMM-Newton serendipitous source catalogue 3XMM-DR4. 1st July 2013: Restructuring of the XMM-Newton Survey Science Centre. Natalie Webb (IRAP) took over from Simon Rosen (University of Leicester) as project manager.